Controlling and limiting the expenses of your small business can be difficult. Business expense management is vital for your business’s success, but it may be hard to keep your expenses from spiraling out of control. Prepaid cards for business expenses may help you to control all of the expenditures that your employees make for your business, helping you to protect your bottom line, increase your profits and minimize the expenses. Prepaid and reloadable cards for business expenses are good options for small businesses. These prepaid cards for business expenses allow you to limit the type of spending and the amounts on each card. You can choose the amount of money to deposit on each card and designate the allowed types of purchases. For example, if one employee is tasked with tracking your inventory and reordering supplies, you can add your budgeted amount of money onto that employee’s card. He or she will then only be able to make the inventory purchases and will not be able to make other types of purchases with the card. If an employee attempts to make a purchase that is not allowed on his or her card, the transaction will be declined immediately. These rechargeable cards for business expenses can help you to prevent employee thefts while getting your company’s spending under control. When you have prepaid cards, you can choose from among our various package options. These normally designate how many cards you can have. Then you simply add the amount of money that you want on each card and choose your employees’ allowed spending categories. Some offer an interactive dashboard, you can see each card that your employees have and how much they are spending whenever you’d like. These dashboards generally will have 24-hour access seven days per week, which can let you see exactly where your business’s expenses are at whenever you want. If you spot problems such as an employee’s attempt to make unauthorized purchases that were declined, you can terminate that employee’s access immediately by clicking a button. You will also be able to gain a better understanding of where your business spending might be tightened, allowing you to enact cost-saving measures. Choosing to get reloadable cards for business expenses may save your business money. While credit cards may subject your business to employee theft and fraud, the rechargeable cards for business expenses may help to prevent these types of losses. You are able to control your employees’ spending on their cards at the purchase level. They are unable to withdraw money from the cards, giving you greater peace of mind. Since they are rechargeable cards for business expenses, you can deposit additional funds whenever you need on specific cards when their balances are getting low. 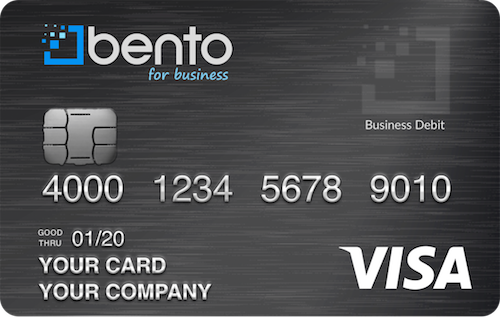 The business Visa debit cards for business expenses at Bento for Business are versatile and secure. Since they are Visas, they can be used at a majority of businesses in the U.S., offering you the flexibility to comparison-shop for prices so that you can save even more. 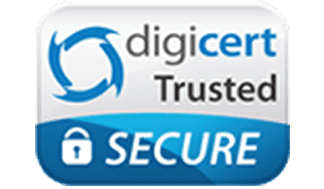 They are also insured by the FDIC for up to $250,000, and you are protected with the highest level of encryption technology so that outside thieves cannot access your money or information. Choosing the business debit cards for expenses may help you to protect your company and to get control over your expenses. To learn more and to get started on your 60-day free trial, call us at 866.220.8455.